Simple Precautions Can Help Reduce the Risk of Accidental Burns. Burns and scalds are especially harmful to young children. Their skin is much thinner than adults and the results can be devastating both physically and mentally. Here are some simple precautions you can take to protect your child from accidental burns. Most burns and scalds occur in the home, and can be easily prevented by practicing these simple tips around children. Always use the center of your table and the back of your counters. Keep coffee pots, toasters, irons and hot foods and liquids away from the edge of the table or counter. Turn pot handles towards the back of the stove so children can’t reach them. Create a “kid‐free” zone three feet from the stove with markers on the floor. At a young age children can understand “NO” when it refers to entering the zone. Never hold a child while you are cooking , drinking, carrying hot foods or liquids. Replace tablecloths with non‐slip placemats to avoid tugging and spilling hot foods and liquids. Use spill‐resistant travel mugs for drinking hot liquids. Test the temperature of infant food heated in the microwave before feeding it to the baby. Never open the oven door with children nearby. According to the National Center for Health Statistics (NCHS), 75% of all burns to children are scalds. The majority of scald burns to infants and toddlers are from hot foods and liquids spilled in the kitchen. Always test the water temperature with your wrist before putting your child in the bathtub. Set your water heater’s thermostat to 120°F or lower. Seat your child with their back to the faucet to prevent them from grabbing the hot water faucet and accidentally turning it on. Never leave a small infant or young child unattended in the bathtub. Cool the burned area with cool running water for a few minutes to stop the burning process, numb the pain and prevent or reduce swelling. For Severe Burns, Call 911 Immediately! These are just a few things you can do to protect your child from accidental burns. 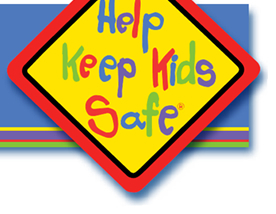 Please visit Montlick.com or HelpKeepKidsSafe.org and click on: Family Safety and Legal Tips to see our latest safety videos and downloadable materials, and to register for Free Safety Alerts.